In part 2 of this tutorial, we are going to explore the bridge of the tune and then add some melodic interest for the final A section. The melody in the bridge is tricky to play in places because the notes fall on the off beats. The off beats are the & of each beat. 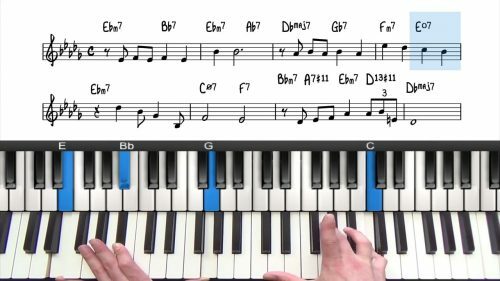 Placing the melody on the off beats creates a very syncopated and swinging vibe… listen to the original recording of the tune to understand how much this tune swings. We’re going to start with a basic stride style by playing the roots way down in the lower registers and then moving up with out left hand to play left hand voicings. Then for the final A section we are going to explore some right hand patterns you can use to enhance the melody. We’ll be creating melodic ideas of out upper structures, 4^th^ intervals and octaves. 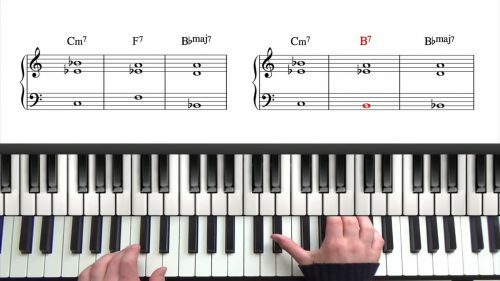 This is a challenging tune to play and so make sure you practice it slowly and accurately. 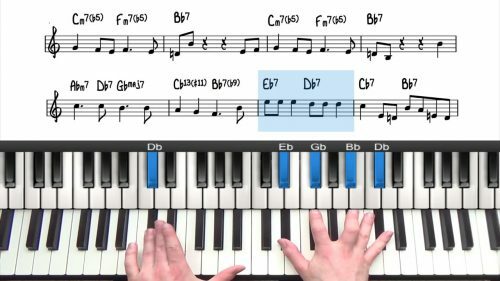 Diminished 7th chords are not as common as major, minor and dominant chords and so you don’t see them as often in jazz standards. Tritone Substitution is a useful reharmonisation technique that can be used to add harmonic interest and variety to a chord progression. Sophisticated Lady is a wonderful tune to explore upper structure triads. Remember to print off the Upper Structure Triad Cheat Sheet which will help you find these voicings quickly and easily. Try to memorise the chord tones contained in each upper structure triad. This will help you make more informed decisions when adding altered harmony to your arrangements. As an example, when the root is in the melody over a dominant chord, the #5#9 upper structure should come to mind which creates the #5, Root & #9. It's then down to you to find the most suitable inversion.